Logoed sweatshirts with a vintage look and a comfortable feel! 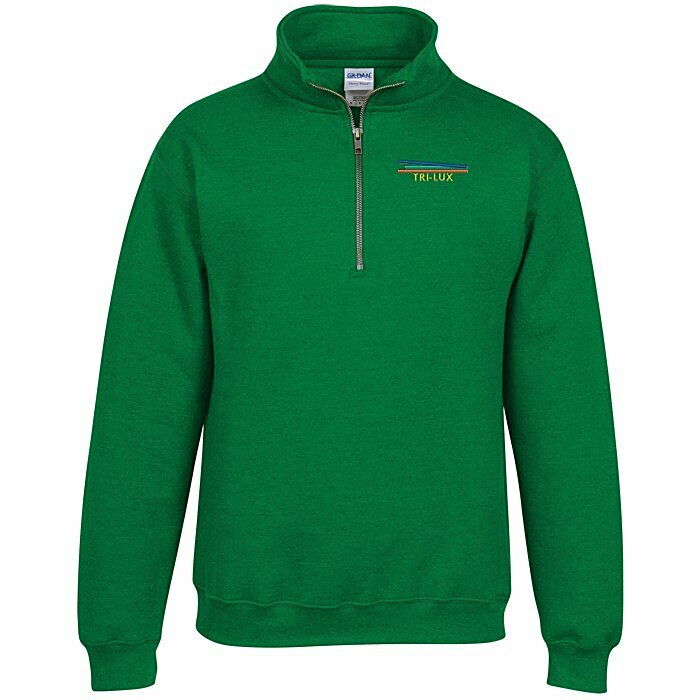 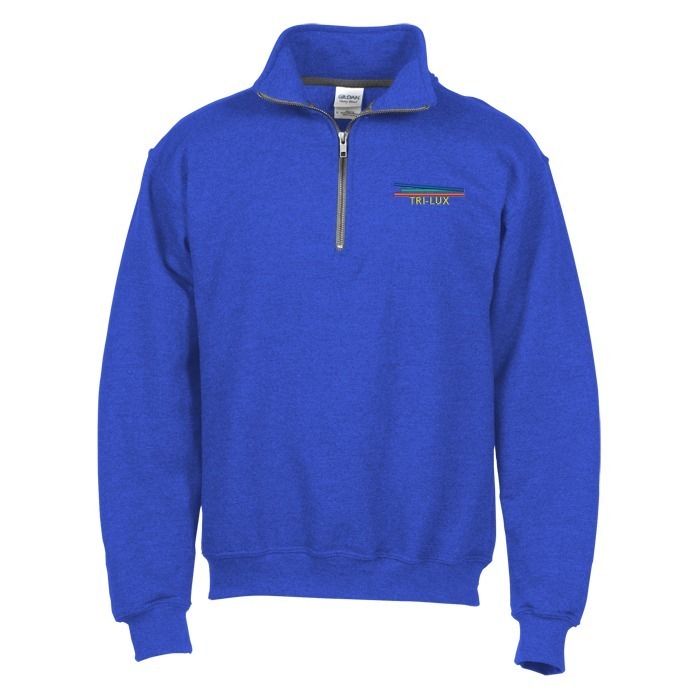 Keep them warmer in these 13.5-oz, 50/50 cotton/polyester sweatshirts. The quarter-zip design features a self-fabric, cadet collar. 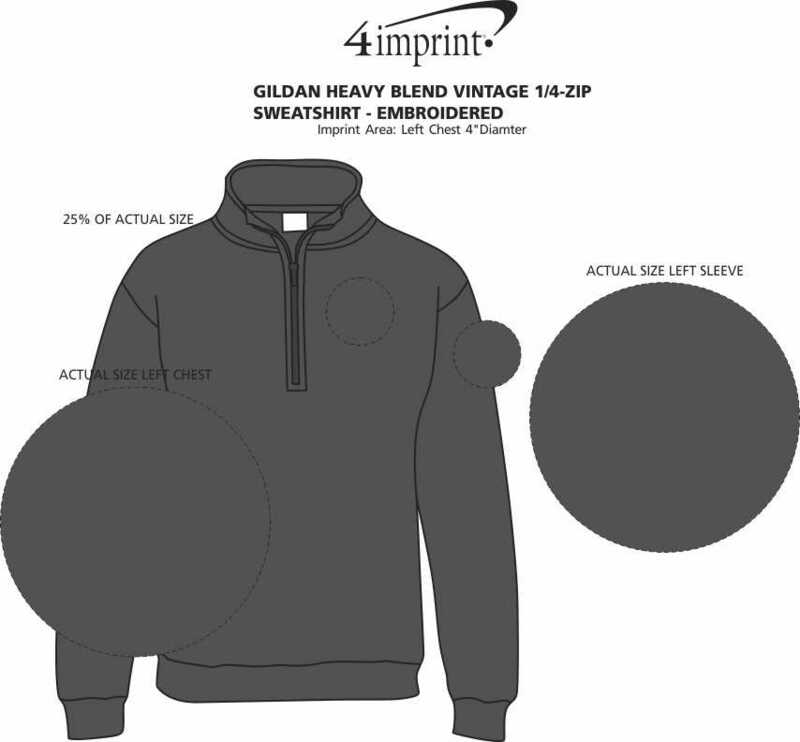 Designed with a rib-knit, spandex-bound hem and cuffs for a tighter fit. Dark grey trim along the zipper adds a touch of style to these customizable Gildan® sweatshirts. Perfect for both individual wear and layering.